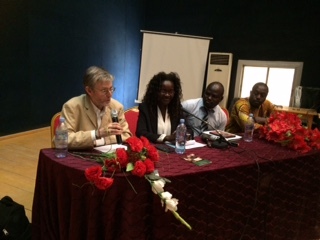 The official launch of the film Chad - a Journey to Hope took place at the Centre Al Mouna in NDjamena, on March 21st. The launch was organised by the Chadian Association of Initiatives of Change and co-hosted together with Chad’s National Network for Peace & Reconciliation (CSAPR*). The film, produced by Dr Alan Channer, was funded by an United Nations/European Union project to build local capacity in mediation in post-conflict nations. The Chadian singer Mounira Mitchala, Francophone African Artist of the Year in 2014, contributed the music soundtrack without charge. Chad - a journey to hope depicts a bid to forge a national network of Chadian mediators – a network that transcends the ethnic, religious and political divisions that have beleaguered the country since it was formed. Renowned peacemakers from Nigeria, Imam Muhammad Ashafa and Pastor James Wuye, led the capacity-building process. The film shows the mediators developing trust between themselves, and going on to grapple with conflict between nomadic pastoralists and sedentary farmers, in a further programme funded by the Swiss Government. 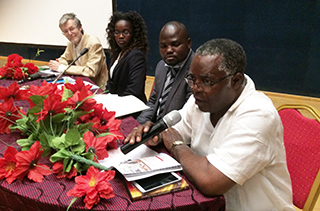 Image to the left: Dr Alan Channer, Director and Producer of 'Chad - A Journey to Hope'; Alice Kidana Gali, Deputy Director of Communications, National Assembly of Chad;Domga Amadou, President of the IofC Association of Chad; Adalbert Otou-Nguini, President of the IofC Association of Cameroon. The film launch was introduced by Abderamane Ali Gossoumian, Coordinator of Chad's National Network for Peace and Reconciliation. He emphasised that, as a result of the work depicted in the film, the network of mediators had gone on to achieve concrete results: for example, they had resolved a dispute over the construction of a church to which the Muslim authorities had initially disagreed, and they had worked successfully with local government to resolve a pastoralist-farmer conflict that had caused fatalities. After the screening, a session of questions and answers was chaired by Alice Kidana Gali, Deputy Director of Communications at the National Assembly. Domga Amadou, President of the IofC Association of Chad, emphasised his commitment to see the film used as a tool for trust-building across Chad. Adalbert Otou-Nguini, President of IofC Cameroon, spoke of the significance of Pastor James Wuye and Imam Muhammad Ashafa's work for peace and reconciliation in Africa and beyond. A news bulletin about the film launch was broadcast on national radio. 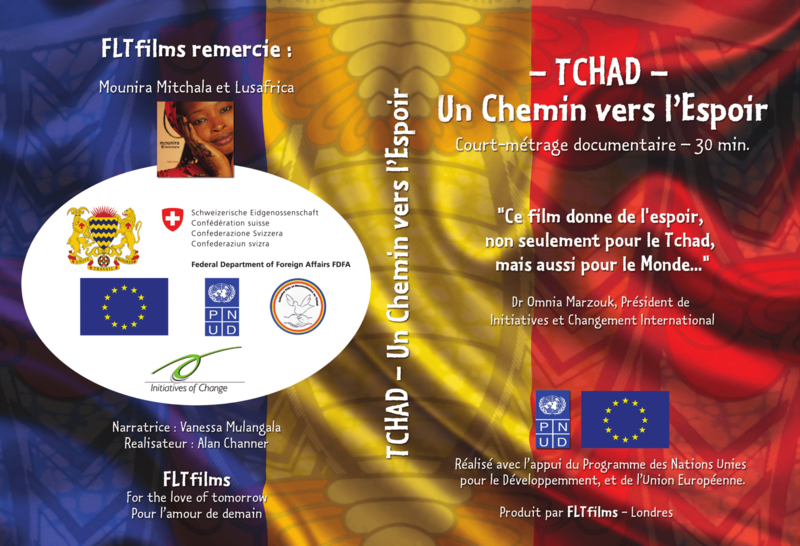 Stephen Tull, Resident Coordinator of the United Nations in Chad and Dr Denisa-Elena Ionete, EU Ambassador in Chad, wrote in appreciation of receiving copies of the film, with Stephen Tull saying: '[This is a] very good documentary on the project'. An English version of the film is in preparation.